Keeping your pool properly heated can increase its value and lengthen your swimming season. If you’re searching for superior comfort and control, you can find it in Hayward’s collection of top-notch, highly-efficient pool heaters for in-ground pools. Install a world-class in-ground pool heater for the ultimate in luxury and swimming comfort. Universal H-Series Low NOx heater has an industry-leading thermal efficiency and complies with all current California air quality emission standards. The low NOx emission makes it a perfect choice for the environmentally-conscious pool owner. 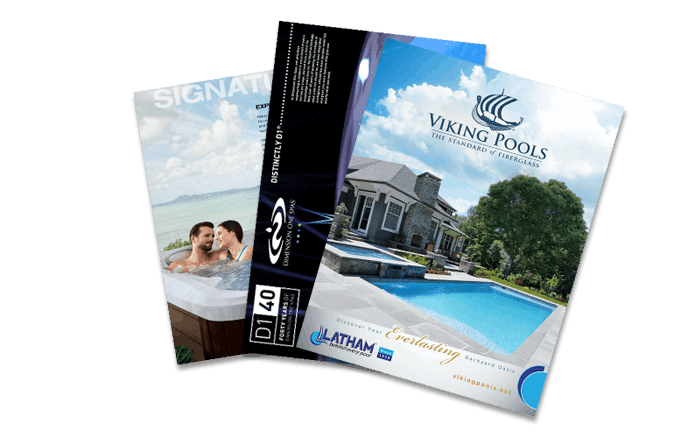 Want to extend your pool season? The Universal H-Series low NOx emissions pool and spa heater gives you more days (and nights!) of comfortable swimming. Energy-efficient and high-performance, the Universal H-Series includes a cupro nickel heat exchanger, which protects against the corrosion caused by chemicals and saltwater systems. This heater meets clean air quality standards, even in the strictest juridictions in the U.S. It is applicable for both pools and spas. Hayward’s HeatPro Heat Pump, a high-efficiency heater, gives you the ideal water temperature, while using 80% less energy than natural gas heaters. It offers an alternative way to heat your pool that is safe, reliable, and energy efficient. Hayward’s H-Series induced draft heater is designed for above-ground pool use. It features cutting-edge technology, combined with easy operation and superior performance. The electronic ignition automates operation, and the induced draft technology assures optimal heating in all weather conditions. The cabinet surface remains cool to the touch at all times, so no worries about the kids getting burned! It plugs into an ordinary 120-volt outlet for easy, fast installation. It is impervious to high winds, and is equipped with a copper heat exchanger to protect against leaks. The electric direct-spark ignition system, plus the FireTile line combustion chamber makes this unit satisfyingly energy efficient. Packing large-unit power, but maintaining energy-efficient operation, the MasterTemp 125 is a smaller unit capable of running with the big dogs. It features the revolutionary premixed gas combustion technology, and delivers a whopping 82% thermal efficiency. That’s the highest of any heater in this class of pool heaters.